A Christmas tree just isn't complete without being adorned with Christmas tree lights. They can be wrapped around, weaving in and out between the foliage and decorations or they can be used to decorate around the base of the tree. So, whether you prefer traditional white or warm white lights, or an explosion of colour, we have something for you. 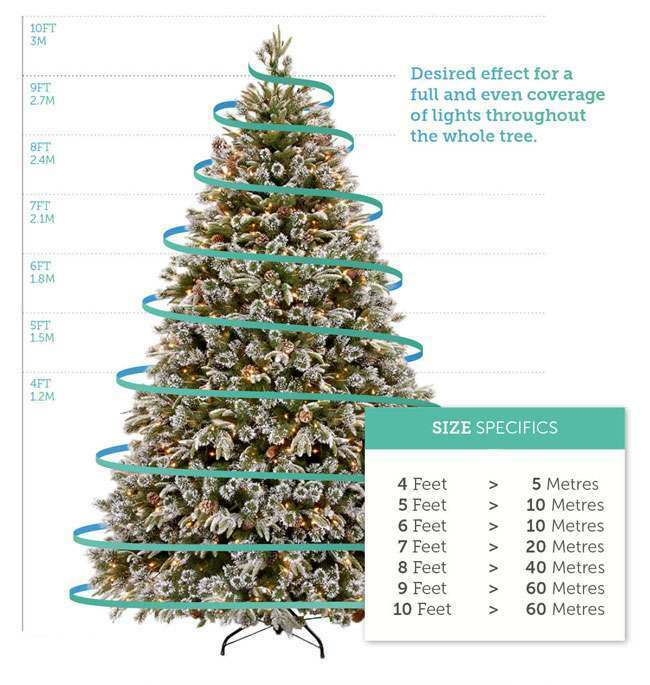 Read More How many lights do you need for your tree? The tradition of putting lights on Christmas trees originated in Germany in the middle of the 17th century, although the lights used then were real candles and not the miniature electric bulbs we know and love today. The candles were attached to the tree at the ends of the branches, with wax or pins with the intention of representing shining stars. Since this was, clearly, a serious health and safety hazard, it was common practice for people to only put up their trees on December 24th, in the hope that, since the tree was still fresh, it would be much less flammable. Thankfully, advancements in Christmas tree lights technology have given us the use of LED (light-emitting diode) technology. LED bulbs are not only much safer than having an open flame on your Christmas tree, they are also far more efficient than their previous incandescent counterparts and boast a much longer lifespan. Effortlessly prep your indoor and outdoor ready for the season. Hang up and display our easy to set up fairy connectable LEDs in your home. They make a great visual and offer a true warm Christmas feeling towards your family and friends. There’s a full range of colours to choose from, and a choice of multi coloured lighting to really enlighten up your home. 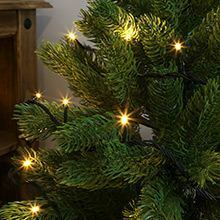 A great feature to include on your Christmas tree is our Twinkly Christmas fairy lights. These are powered by your smart app and is easily controlled by you. 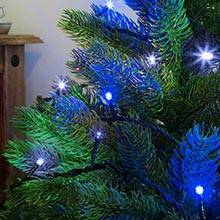 They come with loads of different colour options and really light up your Christmas tree. You can also connect two or more sets of lights together enabling them to be a bigger illumination display towards your home. 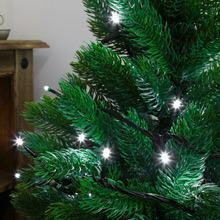 These Twinkly Christmas fairy lights allow you to easily set up your Christmas tree and other seasonal themes in and outside your home, with no fuss.